Everybody is different. Special Olympics is for people who are different because they learn new skills slowly. They are different in other ways as well. They have an intellectual disability, or ID. Intellectual disabilities happen in all cultures, races and countries. The goal of Special Olympics is to reach out to the nearly 200 million people in the world with ID. Our 4.9 million Special Olympics athletes – ages 8 years old and up -- come from more than 172 countries. We also have a Young Athletes program for children ages 2 to 7. At any age and in every country, our athletes are learning new skills, making new friends and gaining in fitness and confidence. We offer 30-plus Olympic-style winter and summer sports. So whatever your age or skill level, Special Olympics has something for you. Many athletes start in one sport, then go on to try others. Abdel-Raman Hassan is an athlete whose life changed after he joined Special Olympics. He's a swimmer with ID from Saudi Arabia. He is also partially paralyzed. Yet he doesn't let anything -- or anyone -- put limits on his abilities. What is it like having ID? David Egan of Virginia says it can be difficult, but that joining Special Olympics helped him a lot. “It was hard for me to accept the fact that I have Down syndrome. But it became easier when I joined Special Olympics and I discovered that I was not alone.” Over the years, David has taken part in soccer (football), basketball, ice skating, softball and swimming. He says the confidence he built through Special Olympics has helped him find and keep a job for more than 15 years. David is one of Special Olympics' International Global Messengers, a select group of our athletes from around the world who speak from personal knowledge of the empowering impact of Special Olympics. Yet, it's more than that. Our athletes also become empowered to be leaders in society -- and teach us all about acceptance and understanding. 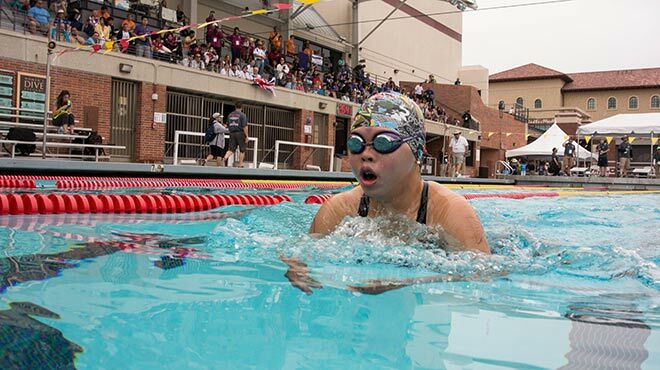 Stephanie Handojo of Indonesia competed in the breast stroke in an international Special Olympics invitational Games in California. 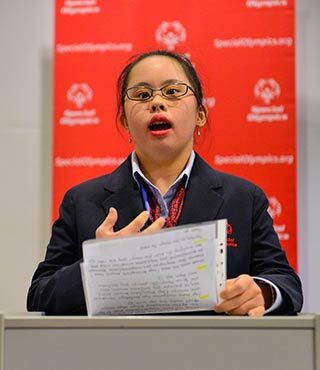 Stephanie also serves as a spokesperson for Special Olympics in her role as a Sargent Shriver International Global Messenger. 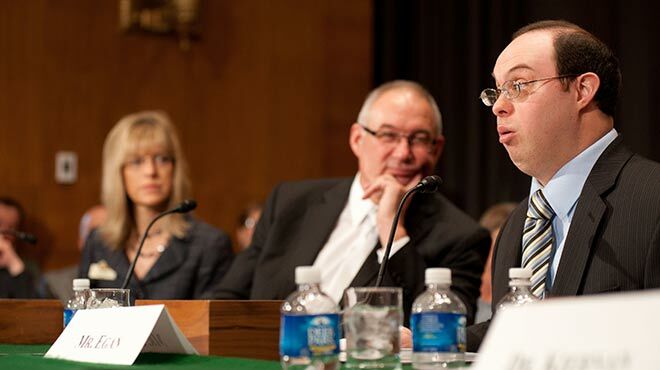 There are as many as 200 million people with intellectual disabilities around the world. Our goal is to reach out to every one of them – and their families as well. Special Olympics athletes are people who are 8 years old or older and who have an intellectual disability. There is no upper age limit, and in fact, two-thirds of our athletes are over 18. Our 30-plus sports are seasonal, so some are winter sports and some are summer sports. All sports are coached by certified volunteer coaches. Start the process of becoming a Special Olympics athlete; get in touch with the Special Olympics office nearest you. Anyone who wants to take part in Special Olympics activities should get in touch with the office nearest them. 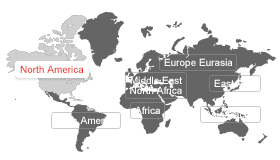 Here's our guide to our worldwide offices. There are opportunities for sports for people with and without intellectual disabilities. Athlete Barry Cairns talks about what it's like to be a Special Olympics athlete.